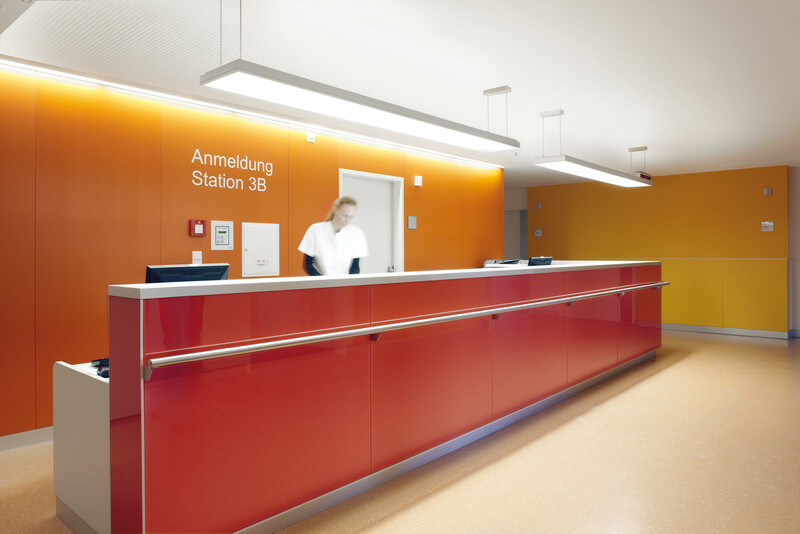 Hardly any other application area demands such complex lighting solutions as health and care facilities, where an extremely wide range of requirements have to be met in order to create perfect conditions: doctors and care staff need different lighting situations in order to perform tasks that require high levels of concentration. Efforts are also made to achieve a feel-good atmosphere for patients. 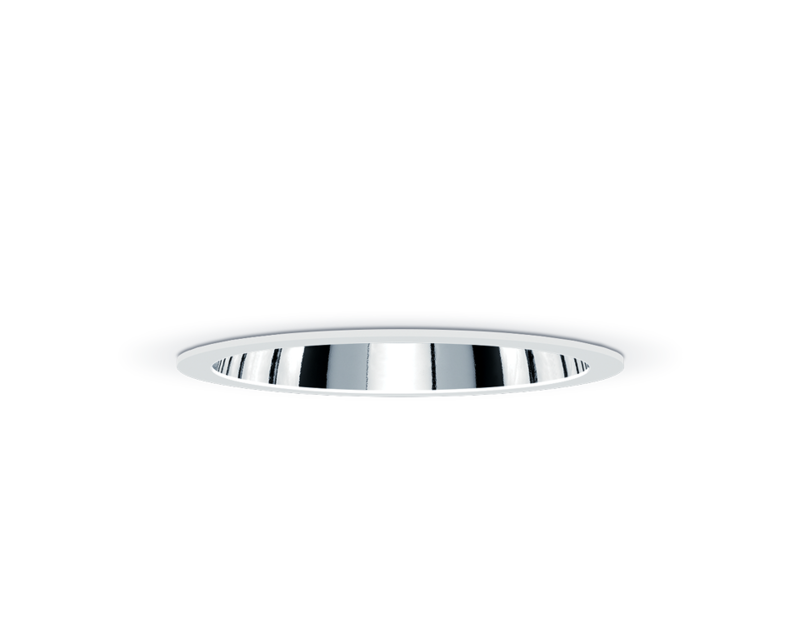 Lighting therefore has to cater for the needs and preferences of various groups of individuals in different situations. 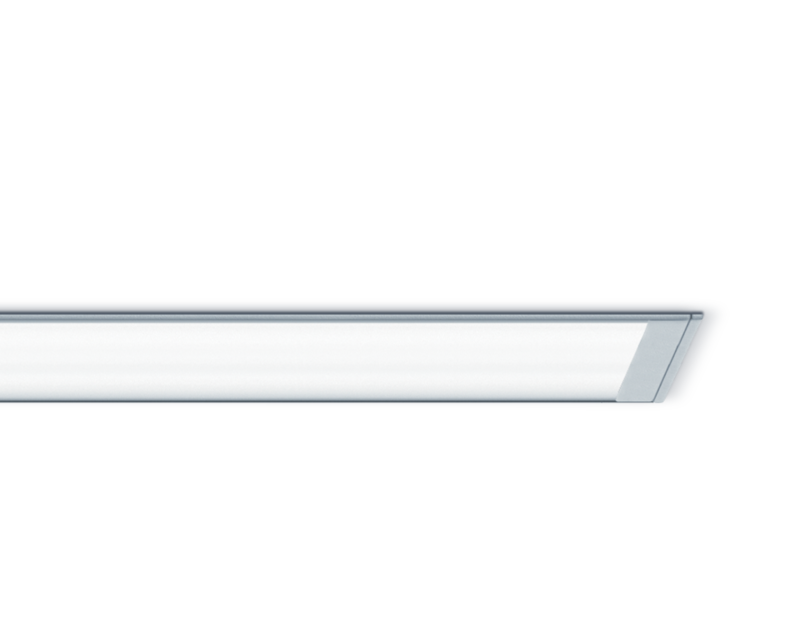 The primary purpose of lighting in hospitals is to improve the quality of the patient’s stay, thereby also aiding recovery. 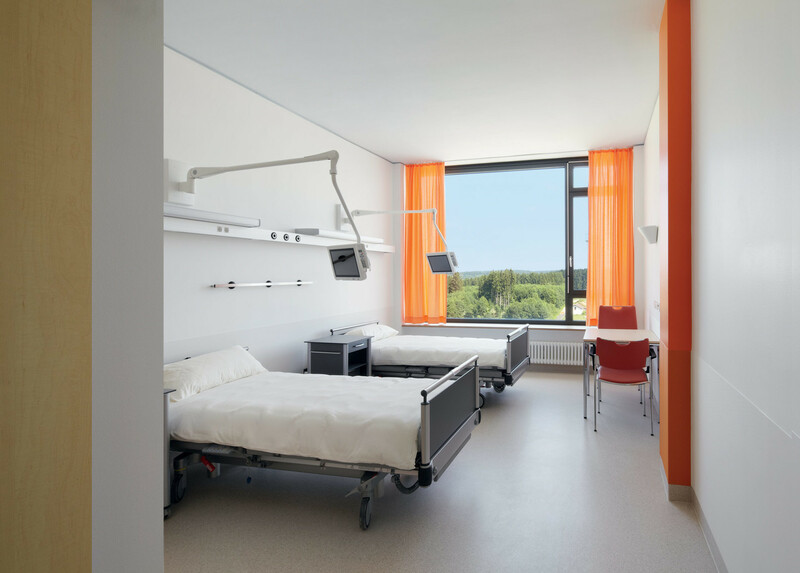 The emphasis in care facilities is on using light in the right way to improve quality of life, for example to compensate for inadequate daylight by providing dynamic lighting solutions that mimic changes in daylight over the course of a day. Revolutionizing hospital architecture in Hamburg. 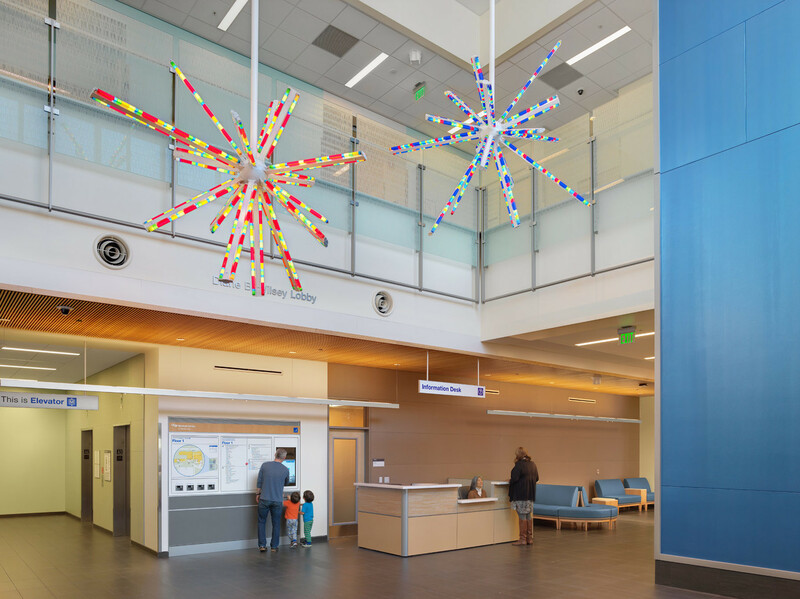 In specifying luminaires for projects related to health care, there are numerous considerations that must be given to achieve the ultimate goal: patient quality of care. Against a backdrop of demographic change and an aging population, a highly-qualified, motivated workforce is absolutely vital. Patients choose the hospital that will give them the best care. 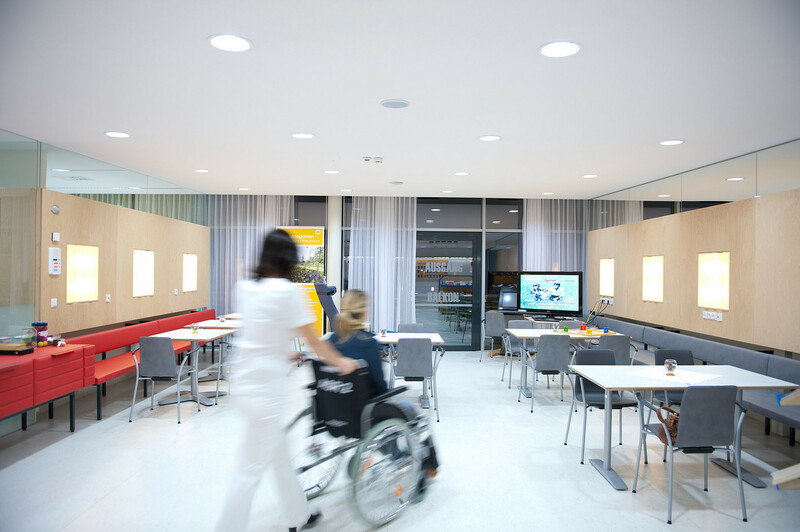 Premium lighting solutions can enhance well-being among staff and patients by creating a pleasant, refreshing room atmosphere. 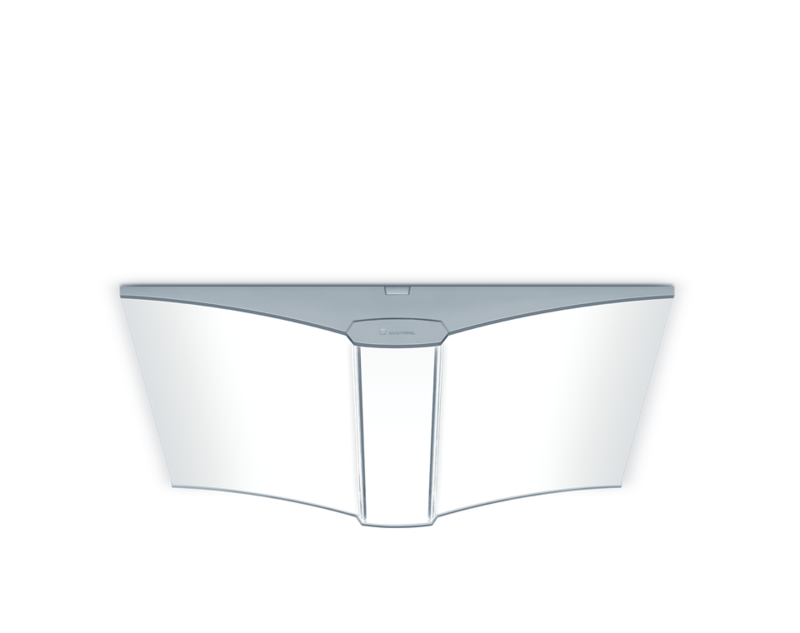 Healthcare and nursing providers are constantly confronted by the problem of limited available space. Sufficient infrastructure and spare space must be kept available to cope with emergencies such as epidemics but, on the other hand, recurring costs must be kept as low as possible. Costs play a key role in the healthcare and nursing sector. These costs include, among others, the costs of qualified staff, property maintenance, operating costs and the expenses incurred during a stay in the hospital. 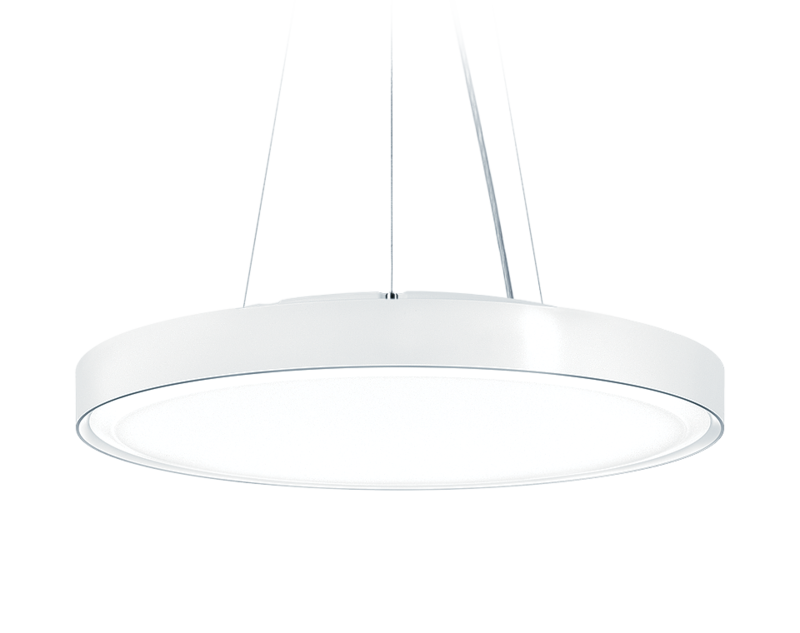 Premium lighting solutions can aid convalescence, thus shortening hospital stays, which in turn results in cost savings. 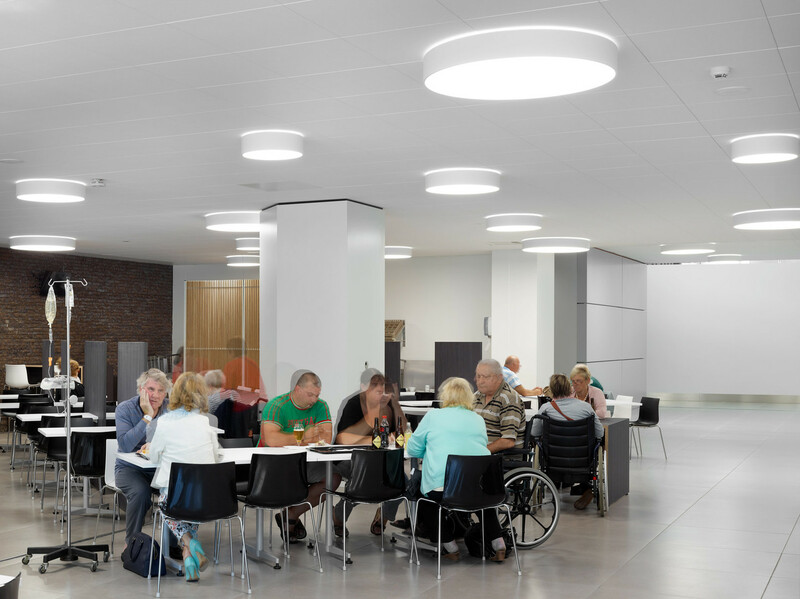 In a residential ward for dementia patients in the St. Katharina old-age home in Vienna, controllable lighting was installed in the course of refurbishment, allowing for different lighting intensity levels and light colors to be implemented and their effects on the well-being of residents to be examined systematically. Various lighting situations, two of them static and one dynamic (simulating daylight transitions) with varying lighting intensity levels and light colors, were created. Measurements were carried out during a period of almost two years (at least 8 weeks for each lighting situation respectively) and were completed in autumn 2009. Each lighting situation was repeated once in order to take account of seasonal effects. Not only the residents’ emotional and mental states as well as their social activities were investigated, but also the effects on nursing staff, both regarding their own well-being and their assessment of the nursing situation. This strongly interdisciplinary research project is subsidized and supported by the national ‘Kompetenznetzwerk Licht’ (Lighting Competence Network).